You did it wrong. 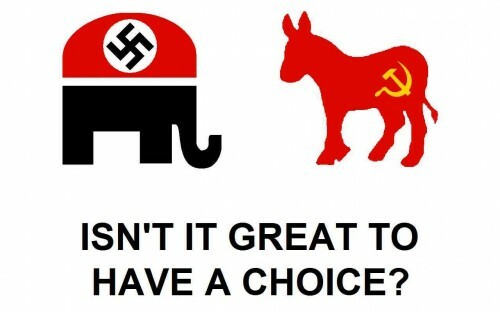 The elephant should have an American flag on it. Silly liberals. And a cross. Don’t forget the elephant’s cross. Silly conservatives. Here’s a thought experiment: If you compare a Nazi to a Nazi, is that like dividing by zero; insta-fail? Or does an auto-failing auto-fail equal success? we DO have a choice.. more than two.